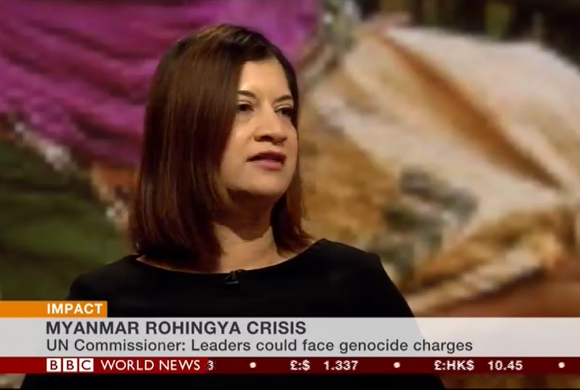 On BBC World, BHRC co-Vice Char Schona Jolly QC raised serious concern for the situation in Rakhine State, Myanmar and calling for the international community to put pressure on Myanmar to end the violence and to bring the perpetrators to justice. In the interview, Schona laid out the difficulty in proving the intent to commit genocide because Myanmar authorities are failing to grant access to the region to any independent, international organisations. 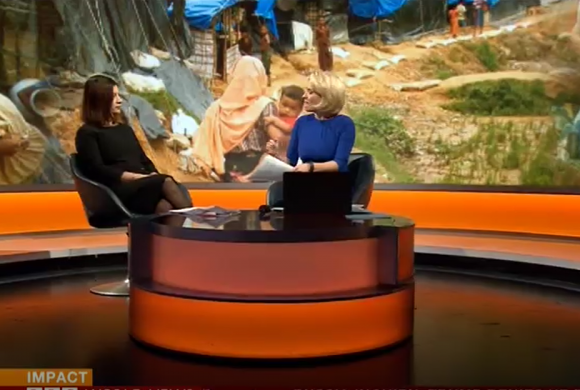 However, the consistency in the accounts from those displaced by the violence in Rakhine State and the decades of discrimination against Muslims in Myanmar lend credibility to the accusations of atrocity crimes and genocide. Jolly called on the UN Security Cou ncil to refer the situation to the International Criminal Court for investigation, and for an independent and impartial investigation into the atrocities. You can read more on Schona’s views of the Rohingya crisis here.